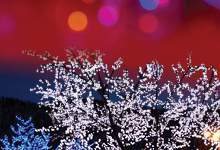 Ring in the holiday season at our annual Festival of Music and Lights on Saturday, Dec. 3 at 5 p.m. at the Bowring Park Duck Pond. Enjoy performances by choirs and musical entertainers, and have a free cup of hot chocolate, as we officially switch on the beautiful light display. This is a wheelchair accessible event, and is sponsored in part by NTV and OZFM. Inclement weather date is Saturday, Dec. 10.